What are the Best Online Nurse Practitioner Master’s Programs? What Can I Learn in an Online Nurse Practitioner Master’s Program? What Can I Do With a Nurse Practitioner Master’s Degree? How Much Can I Make in a Nurse Practitioner Career? Nurse practitioners have experienced a surge in demand in recent years. In fact, the Bureau of Labor Statistics (BLS) projects that job outlook should increase by 31% through 2026, which is significantly faster than other occupations. This is partially due to cost efficiency for both students and employers. Professionals who earn an online nurse practitioner degree gain nearly the same skills as a family practitioner for a fraction of the tuition cost and time commitment. Nurse practitioners also have access to high-paying jobs that cost employers less money than family practitioners, making nurse practitioners a more appealing choice. This guide to online nurse practitioner programs includes detailed descriptions of potential coursework, specializations, career paths, financial aid resources, and links to professional organizations. Identifying programs that offer pertinent coursework and skill development opportunities remains a challenge for students. The list below includes some of the best online nurse practitioner programs that have been vetted through the the U.S. Department of Education and the Integrated Postsecondary Education Data System. Factors considered for these rankings include admission policies; graduation and retention rates; tuition costs; and financial and educational resources for distance learners. The ranking process also includes university publications and materials. All universities listed below are accredited. Accredited by the Commission on Collegiate Nursing Education, Cox College's academic offerings are dedicated exclusively to the health care and medical fields. Licensed nurses possessing a bachelor's degree can enroll in a hybrid program to pursue a Master of Science in Nursing. Students can select a concentration of either family nurse practitioner (FNP) or psychiatric mental health nurse practitioner (PMHNP). Over the course of 2 years, you will work through 42 credits of coursework in topics such as pathophysiology, ethics, women's health and psychopharmacology. Also expected is the satisfaction of around 600 field experience hours. Although most classes are delivered in an online format, enrollees may be expected to visit campus on occasion. Following graduation, you will be equipped to pass the national certification exam for becoming an FNP or PMHNP. Admissions and degree completion both call for a minimum 3.0 grade average in all undergraduate and graduate work. Applicants also need to submit transcripts, a copy of their RN license, a curriculum vitae, 2 reference letters and an essay responding to a pathway-specific prompt. While in school, you will have access to resources and supports, such as the Simulation Center, which is host to a virtual hospital, skills lab and simulation lab. The Academic Resource Center links learners to tutoring, counseling services and a writing center. The tuition rate is the same for in-state and out-of-state enrollees. From April to July, students can fill out a general application to qualify for a number of scholarships sponsored by the CoxHealth Foundation and the CoxHealth Auxiliary. Prospective students living in Alabama, Florida, Georgia or Mississippi are eligible to apply for Capstone College of Nursing's program to earn a Master of Science in Nursing at the University of Alabama. Applicants must possess a nursing-specific bachelor's degree with a minimum 3.0 GPA as well as be able to demonstrate current RN licensure. Students not meeting this grade average are required to submit GRE or MAT scores. Applications will also include a statement of purpose, resume and 2 professional references. Once admitted, you can choose to specialize in psychiatric mental health, family nurse practitioner or a dual concentration that combines both options. Graduation calls for the fulfillment of 42-59 credits and 700+ clinical hours with a 3.0 GPA or higher. The timeline for completion, which fluctuates between 2-3 years, is dependent on pathway and whether you elect for part-time or full-time studies. Curriculum explores advanced nursing topics, such as issues in community health, human relations management, informatics and health assessment. Although the majority of coursework takes place online via the web platform Blackboard Learn, students are expected to visit the university twice throughout the whole program. While on campus, you can take advantage of useful facilities, such as the Learning Resources Center. Here, students put their skills to practice at the simulation lab, which uses the system Replay for streaming video and audio content in order to create lifelike scenarios. You also have access to Tegrity, a software program that records and stores lectures to review before an assignment or test. You will combine online and on-campus studies to work toward a Master of Science in Nursing through South Dakota State University's Department of Graduate Nursing, which is accredited by the Commission on Collegiate Nursing Education. Students with a bachelor's degree in nursing are eligible to participate in the family nurse practitioner specialization. Graduation requires the satisfaction of 53-58 credits depending on if you choose to satisfy general coursework only or to add on a thesis or research. Coursework covers advanced assessment, health policy, disease prevention and cultural competence. Additionally, you are required to fulfill 1,000 clinical practice hours. Following degree completion, you will be equipped to take certification exams through a variety of professional organizations. Throughout your journey, the Department of Nursing Student Services assists in academic advising, internship placement, career guidance and financial aid opportunities. The Nurse Faculty Loan Program forgives up to 85% of loans if participants teach for 4 years at an accredited learning institution following degree completion. Field-specific scholarships include the South Dakota Nurses Foundation Scholarship and Rita H. Walsh Scholarship. You can also make appointments with the Writing Center or Wintrode Tutoring Program for academic help. Prospective students will submit proof of a 3.0 GPA in undergraduate or graduate work, a copy of their RN license and completion of a statistics course. You must also possess 1,500 hours of professional nursing experience prior to enrollment. Applicants meeting these criteria will then complete a background check, drug screening and interview process. At the University of Central Arkansas, working professionals looking for flexibility in their schedules can enroll in a part-time plan to complete a Doctor of Nursing Practice that satisfies requirements outlined by the American Association of Colleges of Nursing. You must posses a master's degree with a minimum 3.0 GPA from a nationally accredited nursing program in order to be admitted. Applicants will submit a personal essay, proof of RN licensure and supervised clinical hours. If eligible, you will then participate in an interview. Once accepted, students spend 2 years working through 6 credit hours each semester to satisfy a minimum of 34 credits. In order to graduate, you will also partake in 1,000 hours of field experience and complete a capstone project under the direction of an adviser. Classes are delivered in an online format through the learning platform Blackboard Learn and explore topics such as research methods, health care informatics and psychological statistics. There is technical support available to help navigate the virtual classroom. Enrollees are required to visit campus 4 times throughout the program for 2-3 day classes and workshops. While in school, you can take advantage of the bookstore and library, which house nursing-specific resources and databases. The Learning Resource/Simulation Center mimics a medical facility and allows students to practice real-life scenarios while on campus. Residents and non-residents pay the same tuition rate, and institutional and state-funded scholarship opportunities are available to help cut down on costs. The Student Support & Resource Center offers financial assistance to those facing monetary difficulties or an unanticipated crisis. If you have a bachelor's or master degree in nursing and wish to advance your career, Liberty University affords students the opportunity to receive a Doctor of Nursing Practice through fully online studies. In addition to core curriculum, you have the option to specialize in the family nurse practitioner or psychiatric mental health path. Depending on pathway, it takes an average of 2-3 years to satisfy 41-78 credits and 1,000-1,232 clinical practice hours with a minimum 3.25 GPA. Classes familiarize students with clinical prevention, professional ethics, leadership and financial management. Upon completion, alumni are prepared to enter positions in nursing administration, clinical research, social services and health care management. Courses are delivered in 8-week formats through the web platform Blackboard Learn. Students are encouraged to get involved in the online campus community by joining a peer support group, following a blog or attending an event. The Online Student Advocate Office helps learners access information regarding academic requirements, available resources and financial aid opportunities, such as scholarships intended for online students only. In addition to keeping their distance education tuition at the same rate for 8 years, the school provides graduate students with monetary vouchers that can be used in the online bookstore. Your application must include transcripts that demonstrate a 3.0 GPA in undergraduate or graduate work, a current RN license in the state of Virginia, a curriculum vitae and a statement of purpose as well as 1 professional, academic and personal reference. If considered eligible, you will then need to complete an interview. Students desiring a faith-based education can apply for the University of Mary's hybrid Doctor of Nursing Practice. The program, which is open to applicants with a minimum 2.75 undergraduate GPA, roots its curriculum in Catholic beliefs and values. To be admitted, prospective students will need to submit a copy of their RN license, 2 reference letters, a resume, goal statement and completed background check. The Division of Nursing also encourages students to hold at least 1 year of working experience prior to enrollment. Over a period of 2-plus years, students will engage in mostly online coursework to satisfy 86 credits in courses such as Resilient Nursing Leadership, Clinical Anatomy and Pharmacology for Advanced Practice. Online learners are expected to visit campus for orientation and other periodic obligations. Additionally, they will be required to satisfy 1,180 hours of clinical practice. Field experiences can occur in the Bismarck, North Dakota, area or near your location of residency. All work must be passed with a minimum 3.0 GPA in order to graduate. Upon completion, graduates will be equipped to pass the national certification through the American Nurses Credentialing Center or the American Association of Nurse Practitioners Certification Program. While in school, students can utilize Library Services to access nursing and medical databases. Students can also register with Career Services to be referred for job openings or to receive career guidance. There are financial aid opportunities specific to graduate students, and active-duty or veteran service members may also qualify for a variety of benefits and scholarship options. The University of Minnesota's program to complete a Doctor of Nursing Practice offers 11 different options for specialization. From integrative health to nurse midwifery, students engage in mostly online studies with the exception of a 4-day visit to campus each semester. During this time, students will meet with their academic adviser and engage in specialized instruction. Depending on academic history, students will spend 1-3 years exploring curriculum such as epidemiology, system leadership and evidence-based practices. Graduation entails the satisfaction of 67-82 credits and 1,000-1,360 hours of clinical experience with a minimum 3.0 GPA. This grade average is also required for program admissions. Along with becoming trained in advanced nursing practices, you will be equipped to pass a number of concentration-specific exams, including the Certification for Executive Nursing Practice Exam and the American Holistic Nurses Credentialing Corporation's certification to be an American Holistic Nurse. Students interested in applying must possess a bachelor's or master's degree in nursing. You will also need to submit a copy of your RN license, essay samples, 3 references and a resume. Once enrolled, you will have access to a number of online and onsite supports. For example, the School of Nursing's career services helps with interview preparation and resume writing. Academic advisers are available to assist in registration and financial aid questions. For networking and peer support opportunities, you can become a member of the Allied Nursing Students Embracing Research or the Diversity and Inclusivity Club. Every year, enrollees fill out a single application to qualify for a variety of nursing-specific scholarships. The hybrid Master of Science in Nursing at Winona State University in Rochester is accredited by the Commission of Collegiate Nursing Education. Students will become specialized as an adult-gerontology acute care nurse practitioner. In order to graduate, you will complete 54 credits and 720 hours of clinical experience. The Clinical Placement Coordinator can assist in establishing your residencies. Core classes include Nursing Information Management and Decision Making, Advanced Pathophysiology, Acute Care of Adults and Molecular/Genetics & Immune Mechanisms. Students in possession of a bachelor's degree can opt for a 2 or 3-year plan of study depending on part-time or full-time enrollment. Upon completion, you will be prepared to pass the American Nursing Credentialing Center's Acute Care NP exam or the American Academy of Critical Care Nurses' Acute Care NP (Adult-Gerontology) exam. Applicants must display competency in computer literacy and proof of a minimum 3.0 GPA in undergraduate work. You will also need to submit 3 professional references, a personal statement, a resume and a background check, as well as evidence for the completion of an ACLS (Advanced Cardiac Life Support) certification and a ECG interpretation course. Online learners can find information regarding graduation requirements, academic deadlines and financial aid options through the Warrior Hub. General and field-specific scholarships are available for all nursing students. For academic assistance, students can utilize the Darrell W. Krueger Library, tutoring services, a writing center and the Warrior Success Center, which provides online advising. The schools aims to engage online students by posting recordings of campus speakers, providing opportunities for peer mentorship and building a social media presence dedicated to the distance education community. Professional nurses wishing to widen their scope of practice and advance their career can enroll in Ashland University's fully online BSN to DNP program to become a Family Nurse Practitioner. In order to qualify, you must possess a minimum 3.0 GPA in your undergraduate studies, hold a current RN license and must have successfully completed a statistics course. Applicants will complete an interview as well as submit 3 reference letters and a 2-3 page essay outlining ideas for the DNP capstone project. Students can transfer up to 9 graduate-level credits if they were passed with a grade "B" or higher from an accredited learning institution. Without transfer credit, it takes an average of 4 years to satisfy the 77 credit hours and 1,000 clinical practice hours required for graduation. Clinical residencies take place at a number of locations within an 80-mile radius of Mansfield, Ohio. Curriculum, which is accredited by the Commission on Collegiate Nursing Education, trains students in advanced pharmacology, evidence-based practices, biostatistics and health care advocacy. Upon completion, graduates take on roles in health care education, medical research, managing hospital staff or running a private practice. To assist in your academic journey, the school collaborates with the Ohio eTutoring Collaborative, which allows students to submit writing assignments for feedback or use a live chat to receive assistance in math and science courses. While on campus, you can also utilize the Simulation Center, which houses examination rooms and 6 different types of labs. West Carolina University's hybrid option to earn a Master of Science in Nursing with an emphasis to become a Family Nurse Practitioner requires students to come to campus once per week. The rest of the curriculum is taught online via the web platform Blackboard Learn. Over the course of 2 years, students will need to complete a total of 52 credit hours with a grade "C" or above in order to graduate. Additionally, students will need to fulfill 640 hours of clinical field experience. Classes explore women's health, assessment and diagnosis, geriatrics and pharmacology. The School of Nursing's Office of Student Services acts as a central hub for connecting learners to campus activities and resources. For example, students can become a member of the Association of Nursing Students or the Whee Wagon Program to participate in community outreach. Students maintaining a high GPA may be invited to join Sigma Theta Tau International, which is an honor society dedicated to nursing professionals. While on campus, students can utilize the math and writing tutoring centers or make an appointment with Counseling and Psychological Services. For those seeking ways to cut costs, a number of nursing-specific financial aid and scholarship opportunities are available. Students working for the military or at a medical facility are encouraged to reach out to their employer regarding additional financial assistance. Program admissions calls for a minimum 3.0 GPA in undergraduate academics, demonstration of nursing licensure, at least 1 year of professional clinical experience, 3 references and a resume. Prospective students will also need to have completed a course in statistics and nursing research. Students possessing a bachelor's degree in nursing are eligible to enroll in Illinois State University's graduate program to receive a Family Nurse Practitioner MS. Students can opt for a 2- or 3-year plan to satisfy the 44 credit hours needed for degree completion. Students will also be required to participate in 660 hours of clinical experience. Classes such as Pathophysiologic Bases of Health Deviation and Pharmacotherapeutics for the Advanced Practice Nursing prepare graduates to pass the FNP certification exam, which leads to licensure for advanced nursing practices. In addition, graduates will be equipped to continue work toward a doctoral program. Curriculum is a combination of onsite and online work. While on campus, students can gain hands-on experience by utilizing the Nursing Simulation Lab, which uses anatomical models, current medical record systems and proper medical tools to create real-life scenarios. The Mennonite School of Nursing also houses a computer lab that can only be accessed by nursing students. For those interested in travel, the school offers a 2-week transcultural experience, where students visit and work at medical facilities in places such as Panama, Russia or Brazil. Scholarships are available for this opportunity, as well as other nursing-specific awards to help cut down on tuition costs. In order to apply, students must submit proof of a 3.0 undergraduate GPA as well as fulfillment of a nursing research, physical assessment and graduate-level statistics course with a grade "C" or higher. Students with 2 years of work experience in the nursing field will be highly considered. Accredited by the Commission on Collegiate Nursing Education, the College of Nursing at the University of Iowa is host to a variety of programs for those looking to earn a Doctor of Nursing Practice degree. Students interested in family practice, adult and gerontology care, pediatrics or mental health will complete curriculum through a combination of on-campus and online coursework. To be admitted, prospective students must have graduated with a minimum 3.0 GPA from a CCNE or NLNAC accredited undergraduate or graduate program. Those interested in pediatrics or gerontology must be able to demonstrate 1-2 years of work experience in the chosen field. Applications require a statement of purpose, resume, copy of your RN license and all transcripts. Once accepted, students can opt for 3- or 4-year plans of study to satisfy 72-82 credit hours. Regardless of the chosen pathway, all students take core classes such as Leadership and Management Essentials, Advanced Physiology, and Social Determinants of Health and Health Systems Inequities. Students will also be required to satisfy 1,000-1,090 hours of field experience. The program is responsible for finding internship placements throughout the Iowa area. Students must maintain a 3.0 grade average for coursework to count toward credit. To assist in this goal, students can utilize tutoring services through the Office of Prelicensure Student Services. Enrollees also have access to Hardin Library, which contains databases specific to medicine and health and the Nursing Clinical Education Center, which is a 24/7 facility dedicated to helping nursing students succeed. To be considered for scholarships, students need only complete a general application and a College of Nursing application. At The University of Toledo, students have the chance to earn a Master of Science in Nursing that is accredited by the Commission on Collegiate Nursing Education (CCNE). This program is designed for registered nurses who hold bachelor's degrees and hope to become advanced practice nurses or nurse educators. Although there is a part-time option, the Master of Science in Nursing is typically a 2-year program that is completed on a full-time basis. Students can earn this degree through a combination of online and in-person courses and must meet all requirements within 6 years in order to graduate. Students who enroll in this degree are required to choose a nursing major, such as adult gerontology primary care nurse practitioner, family nurse practitioner, primary care pediatric nurse practitioner, psychiatric mental health nurse practitioner, nurse educator or graduate-entry clinical nurse leader. All majors consist of 55 credit hours, 500 to 600 contact hours and a variety of courses, including Advanced Pharmacotherapeutics, Public Policy and Health Care, and Theoretical Ethical Foundations of Nursing. Students can receive technical support while taking online courses and use tutoring services at no additional charge. Prospective students must hold an Ohio registered nurse license and a bachelor's degree from an accredited college or university, have a minimum undergraduate GPA of 3.0 and submit all of their official transcripts as well as a resume, 3 letters of recommendation and GRE scores. In addition, they are required to undergo a background check and complete an interview. At West Virginia University, students can earn an online Post-MSN Certificate that is accredited by the Commission on Collegiate Nursing Education (CCNE). This certificate program is available to nurses who hold a master's degree or higher in nursing and would like to obtain national certification as an advanced practice nurse. Students in this program may choose either the family nurse practitioner or pediatric nurse practitioner area of focus. Because this is a certificate program, students are not eligible for financial aid. After completing this certificate, students will be able to design and implement therapeutic interventions, develop and sustain relationships with patients and families, and deliver and assess evidence-based care to improve patient outcomes. Since students have unique educational backgrounds, plans of study will be individualized. However, all students will need to complete a practicum and take courses related to advanced pathophysiology, advanced pharmacotherapeutics and health promotion. Those who enroll in the Post-MSN Certificate can expect cohort-based learning, where they take all of their courses with the same group of individuals and learn from one another. Technical support and academic advising is available to all students in this online program. There are several states that currently do not permit West Virginia University nursing students to participate in a practicum experience. Prospective students are encouraged to visit WVU Online to determine whether their state has received approval for clinical placement. Once students have completed at least 19 credit hours, they may sit for the national certification exam as a national family nurse practitioner. Boise State University offers an Adult Gerontology Nurse Practitioner Master of Nursing. This program prepares students to become nurse practitioners and care for adult patients. Students can specialize in acute care or primary care and gain the skills necessary to pursue careers in a variety of environments, including private practice offices, community health centers, intensive care units and emergency departments. They will learn how to conduct physical exams, diagnose and treat acute conditions, interpret diagnostic tests, prescribe medications and perform procedures, such as biopsies and sutures. This master's degree involves online courses, 3 on-campus summer intensives and 4 clinical rotations. Students will work with a full-time clinical placement coordinator to find preceptors in their own communities. Admission requirements include a bachelor's degree in nursing from a program that has been accredited by CCNE or ACEN, a minimum undergraduate GPA of 3.0 and an undergraduate statistics course with a grade of "C" or better. Those who are interested in the acute care specialization are required to have at least 1 year of direct patient care experience, while those who would like to specialize in primary care must have at minimum of 1 year work experience as a registered nurse, providing direct patient care to adults. Currently, this program is only available to nurses practicing in Arizona, California, Colorado, Idaho, Montana, Nevada, New Mexico, Oregon, Texas, Utah, Washington and Wyoming. Applicants who meet all requirements will be contacted for an interview. After graduation, students are eligible to sit for the nurse practitioner board exam. At Grand Valley State University, students have the opportunity to enroll in a Doctor of Nursing Practice degree. This program is an alternative to doctorate programs that are focused on research, and it is intended for nurses who hope to earn a terminal degree in nursing. This degree will educate students on how to influence policy standards and deliver care to meet the needs of diverse populations. Students in this program can select from two specializations: advanced nursing practice or health systems leadership. To accommodate working nurses, this 90-credit program is delivered in a hybrid format. Most courses will meet 5 times per semester in a classroom environment and require internet, Skype, Blackboard and PowerPoint usage. This program's curriculum covers topics such as evidence-based practice, applied statistics and health issues in vulnerable populations. Theoretical Perspectives in Nursing, Leadership Roles in Complex Systems and Applied Multivariate Methods for Health Care are all examples of courses in this program. After graduating with a Doctor of Nursing Practice from Grand Valley State University, students can work in leadership positions where they improve patient outcomes, change the delivery of health care and/or teach nursing education. Students who would like to pursue this program must submit their official transcripts to verify they've completed a bachelor's or master's degree in nursing. They must also hold a cumulative GPA of at least 3.0 and submit a resume, an educational and professional goals statement and a scholarly writing sample. Complete admission is contingent upon compliance with immunization requirements, successful completion of a criminal background check and drug screen, and proof of a current Michigan nursing license. At the University of Cincinnati, students have the opportunity to earn an online Post-Master's Family Nurse Practitioner (FNP) certificate. This certificate is created for advanced nurses who wish to gain a greater understanding of family-focused medicine. It can fit into the schedules of working nurses and be completed on a full- or part-time basis. Due to the fact that this is a certificate program, students are not eligible for financial aid or financial assistance. The courses in this program teach students how to prescribe medications, interpret diagnostic studies, monitor chronic diseases and educate patients and their families. To be eligible for the Post-Master's FNP certificate, students must hold a master's degree in nursing and have at least 1 year of clinical nursing experience. Since every student who enrolls in this program has their own unique knowledge and skills, the curriculum of this certificate is flexible. A few of the courses students may take include Advanced Health Assessment, Differential Diagnosis for the APN and Clinical Management of Adult Health Problems for the Advanced Practice Nurse. Students will not be required to take courses that were covered in their nursing master's program. The time it takes students to complete this certificate depends on their previous educational background and whether they enroll full or part time. After graduating with this certificate, students will be able to take the American Nurses Credentialing Center (ANCC) or the American Association of Nurse Practitioners (AANP) certification exam. They'll be able to provide care for patients of all ages in a number of primary care environments, such as clinics and offices. Ferris State University offers a Doctor of Nursing Practice. This degree is designed for nurse practitioners, nurse midwives, nurse anesthetists and clinical nurse specialists. It is also for nurses who hold master's degrees in nursing with a specialization in informatics, administration or education. Application requirements include a Master of Science in Nursing with a minimum GPA of 3.2, official transcripts, a graduate-level statistics course within the last 5 years and a registered nurse license. Prospective students are also required to complete a phone interview and submit a resume, 3 letters of recommendation and 1 writing sample. Although most of the program can be completed online, students are required to participate in 2 intensives, which allow them to complete 2 credits while interacting with faculty and peers. The Doctor of Nursing Practice program involves 2 courses per semester as well as clinical hours and can be completed in 2 to 3 years. Some of the courses in this degree are Emergent Theories of Health, Informatics for Leadership and Healthcare Program Development. Although Ferris State University faculty members will help students with clinical placement, they are encouraged to find a clinical site and clinical experts who are right for their clinical interests and career goals. This degree is taught in a cohort format, meaning the same group of students work through the curriculum together. Since the Doctor of Nursing Practice degree is a new program at Ferris State University, it is currently pursuing initial accreditation by the Commission on Collegiate Nursing Education. Students at Ball State University may earn a Post-Master's Certificate (PMC) in Nursing. This program can be completed entirely online and allows students to choose from the nurse educator or family nurse practitioner track. The nurse educator track is for nurses who hope to teach nursing at colleges, universities, trades schools and even hospitals. It consists of courses such as Nursing Information Technology, Teaching in Nursing and Health Assessment for Clinical Practice. Students who opt for the nurse educator track will be required to complete a 225-hour practicum in an associate or baccalaureate on-campus nursing program near their home. The family nurse practitioner track is for students who have the desire to diagnose and treat acute conditions, prescribe medications and interpret tests in schools, colleges, private practices, community clinics and other health care facilities. Once they complete the program, they may be able to sit for the family nurse practitioner certification exam. To enroll in the PMC in Nursing, students must have graduated with a bachelor's degree in nursing that is accredited by the Accreditation Commission for Education in Nursing (ACEN) or Commission on Collegiate Nursing Education (CCNE) and hold a minimum undergraduate GPA of 3.0. In addition, they must have earned at least a "C" in a minimum of 2 quarter or semester hours in an undergraduate research course and hold a registered nurse license. Since the School of Nursing does not admit students on a probationary status, applicants who do not have a minimum GPA of 3.0 will not be considered. Admitted students are required to attend a 1-day orientation on campus. At Clarion University, a Master of Science in Nursing-Family Nurse Practitioner is available. Core courses in this program include Advanced Concepts in Pathophysiology, Clinical Decision Making and Advanced Health Assessment. Although the majority of this program can be completed online, skill labs are held on the Edinboro University Campus in Edinboro, Pennsylvania. They involve 30 hours of hands-on physical assessment practice and a 4-hour session that focuses on suturing and other minor office treatments. The curriculum also includes a scholarly project or thesis that can be worked on individually or in groups of 3. Although students are encouraged to complete this program on a part-time basis in 3 years and a summer, they can complete it in 2 years and a summer if they opt for the full-time route. To apply for the Master of Science in Nursing-Family Nurse Practitioner, students must submit their official undergraduate transcripts that show a minimum GPA of 2.75, a copy of their registered nurse license, 2 letters of recommendation and an essay that outlines why they'd like to pursue this program. They must also complete a formal interview. Students who have already earned a master's degree in nursing can earn a second master's degree with the family nurse practitioner concentration or a post-master's certificate as a family nurse practitioner. After graduating with a Master of Science in Nursing-Family Nurse Practitioner, students are eligible to sit for the family nurse practitioner certification exams by the American Academy of Nurse Practitioners Certification Program (AANPCP) and the American Nurses Credentialing Center (ANCC). University of Massachusetts Amherst gives students the opportunity to earn a Psychiatric Mental Health Nurse Practitioner (PMHNP) Post-Master's Online Certificate. The certificate is intended for nurses who have earned a master's degree and hope to care for individuals, families and groups with mental health and psychiatric needs. The main goals of this certificate program are to examine all elements of mental health care, help students gain experience in various inpatient and outpatient settings and prepare them to sit for the American Nurses Credentialing Center (ANCC) Psychiatric-Mental Health Nurse Practitioner board certification examination. Although the courses in this program are 100% online, students will need to work with an academic adviser to arrange clinical practice experiences in their area. Admission requirements for the PMHNP Post-Master's Online Certificate include a Master of Science in Nursing with a cumulative GPA of at least 3.0 and an active registered nurse license. While psychiatric mental health experience is not a requirement, it is highly preferred. This program is designed for students with master's degrees with an advanced practice registered nurse (APRN) designation or without an APRN. Those who enter as APRNs will be required to complete 560 clinical hours and 25 to 30 credits, while non-APRNs will need to complete 728 clinical hours and 49 credits. A few examples of the courses in this certificate include Health Assessment and Clinical Reasoning, Psychiatric Mental Health Complex Health Problems and Integrative Therapies. Unfortunately, students from Alabama, Arkansas, Minnesota, Ohio, Nevada, New Mexico, New York, North Carolina, West Virginia and Washington are currently ineligible for this program. At University of Colorado Colorado Springs, students may enroll in a Master of Science in Nursing-Nurse Practitioner that is accredited by the Commission on Collegiate Nursing Education (CCNE). This program can be completed entirely online and offers 3 specializations: primary care adult/gero nurse practitioner, primary care family nurse practitioner and psychiatric-mental health nurse practitioner. In addition to taking specialty courses, students will be required to take core courses, such as Philosophical Foundations in Nursing Practice, Clinical Pharmacotherapeutics and Advanced Health Assessment. Prospective students must hold a registered nurse license, baccalaureate degree in nursing and a minimum overall undergraduate GPA of 2.75. They must also submit a resume and 3 letters of recommendation. In addition, they are required to undergo a background check online through CastleBranch. As a result of the regulations of individual states, only students from 19 states may be accepted into this program. Graduates of the Master of Science in Nursing-Nurse Practitioner at the University of Colorado Colorado Springs will gain valuable research, problem-solving skills and critical thinking skills while expanding their knowledge on research, nursing theory and health care policy. Graduation requirements include at least 46 to 48 credit hours, a minimum GPA of 3.0 and completion of the degree requirements within 6 years. After graduation, students are typically seen working in a variety of health care environments, including mental health facilities, family practices and senior clinics. Since this is not an acute nurse practitioner program, it does not prepare students to work in emergency rooms or urgent care clinics. An MSN-Family Nurse Practitioner, which is accredited by the Commission on Collegiate Nursing Education (CCNE), is offered at Texas A&M University. This program focuses on health promotion, disease prevention, the management of illness and risk reduction. Since most courses are available online, students can work toward becoming nurse practitioners while working and/or caring for their families. This 48-credit program can be completed in 5 semesters on a full-time basis and 8 semesters part time. All students will be required to take Advanced Health Assessment, which involves 2 on-campus clinical experiences. Each clinical experience consists of 3 days and will require overnight stays for students who live far. Students will also need to visit campus 1 to 2 times while they are taking their Primary Care courses. In addition to Advanced Health Assessment and Primary Care courses, students will be required to take courses such as Advanced Pathophysiology, Quality Improvement and Informatics, and Advanced Pharmacology. Those who are interested in the MSN-Family Nurse Practitioner program at Texas A&M University must live in Texas and hold an active RN license as well as a Bachelor of Science in Nursing. To apply, prospective students are required to submit a professional resume, official transcripts that show a minimum undergraduate GPA of 3.0, a personal statement and 3 letters of recommendation. Admitted students will need to begin the MSN-Family Nurse Practitioner program in the fall as entry is not available in the spring or summer. They are encouraged to work with an academic adviser to develop a plan of study that is ideal for their preferences and lifestyle needs. Missouri State University offers a BSN to Doctor of Nursing Practice program. This program is created for nurses who would like to become family nurse practitioners and is accredited by the Commission on Collegiate Nursing Education (CCNE). The BSN to DNP is 80 credit hours and consists of online courses as well as in-person courses that students must attend once a week. While the BSN to DNP is flexible, most students graduate in 3 years, though all students are required to complete the program within 5 academic years after they've been admitted to the program. To be eligible for the BSN to DNP, students must hold a Bachelor of Science from a nationally accredited program and a registered nurse license, have a minimum GPA of 3.25 for their last 60 hours of coursework, have spent at least 1 year gaining clinical practice experience, complete several prerequisites and participate in an interview with the DNP admission committee. Students who have less than a 3.25 GPA are required to submit their GRE scores. Once enrolled, students participate in a clinical rotation at the on-campus clinic called Missouri State University Care, which provides care for patients who don't have insurance. To remain in this program, students must maintain a 3.25 GPA, cannot earn a "C" on more than 1 course or a "D" or lower in any course. In addition, students must maintain current American Heart Association (AHA) Basic Life (BLS) certification, RN licensure, health and professional liability insurance and all required immunizations while they are enrolled. After graduation, students are eligible to sit for the family nurse practitioner certification exam and can work in population health, education, policy or administration. A Nurse Practitioner Master of Science in Nursing is offered at the University of Texas at Tyler. This is a hybrid program that is accredited by the Commission on Colleges of the Southern Association of Colleges and Schools. It has a 100% pass rate on certification exams that are administered by the American Nurses Credentialing Center, American Academy of Nurse Practitioners and the Pediatric Nursing Certification Board. Those who are interested in enrolling in this program must have a minimum undergraduate GPA of 3.0, hold a Bachelor of Science in Nursing from an a nationally accredited college and submit a resume, admissions essay and 3 letters of recommendation. Students who do not have an undergraduate GPA of at least 3.0 may submit satisfactory GRE scores in order to be considered for conditional admission. Once enrolled, students participate in a graduate student orientation and work with an adviser to design an appropriate plan of study. They can expect to take core courses such as Advanced Pathophysiology, Advanced Health Assessment and Advanced Nursing Pharmacotherapeutics. They can choose a family or pediatric specialty and are required to complete 675 hours of clinical experience. Faculty members of the Nurse Practitioner Master of Science in Nursing program have valuable nurse practitioner experiences and are well-connected to the field on a local, state and national level to help students reach their career goals. After graduation, many students work as nurse practitioners in hospitals, doctor's offices and clinics throughout East Texas. Others choose to further their education and pursue a doctorate in nursing. Online nurse practitioner programs remain ideal for working students who already have their bachelor’s degree. Nurse practitioner courses emphasize communication, interpersonal, and critical-thinking skills that can be used to diagnose and treat patients. Students can also pursue specializations to develop niche skills to serve specific populations. Additionally, nurse practitioner programs foster leadership skills that can lead to higher earning potential. Online nurse practitioner program lengths vary. Students with a nursing-related master’s degree could complete programs in as little as five months. Students with a bachelor’s can earn their degree in 1-3 years. Specialty tracks and program structure affect time commitments. Programs for students with a bachelor’s degree typically require 45-55 credits and can be completed in 2-4 years depending on enrollment status. Online programs offer more flexibility and accelerated options that can shorten program lengths. What Common Courses are Offered in a Nurse Practitioner Master’s Program? This course covers basic principles of pharmacology, including drug distribution, pharmacokinetics, receptor mechanisms, and metabolism. Students learn how to apply pharmacokinetics and pharmacodynamic principles to drug administration. They also learn how to identify major drug classes. This course emphasizes comprehensive psychosocial, physical, and cultural assessment data across the lifespan for nursing care, including specialty areas. Students practice using a diagnostic reasoning process to establish patient-centered care plans. This course includes technology and system information. Students learn how to accurately communicate and document patient data. Pathophysiology examines the manifestations of disease, principles of pathology behind illness or injury, disease risk factors, and therapeutic nursing interventions. This course devotes attention to health and illness factors. Students learn how to describe current public health issues. They also study the influence of basic pathological conditions and suggest treatment based on clinical case studies. Students cover material outlined by the Department of Health Policy and Management. Economics; financing; need and demand; ethics; law; and effectiveness stand out as substantive areas. Students explore major issues such as medical care, injury, and the extent of preparation in healthcare. Clinical practicums prepare students for licensure. This course ensures students can integrate evidence and clinical judgment when designing and evaluating care outcomes. Students must also display exemplary collaborative and communication skills with care team members. Students should be able to resolve practice discrepancies by using inter- and intra-professional mechanisms. While programs differ, almost all online nurse practitioner programs require students to complete a clinical practicum to satisfy state licensure requirements. In fact, clinical placement is an essential element of a nurse practitioner’s education. This field experience allows students to apply all the concepts and care principles learned throughout their program. Clinical practicums also remain influential networking opportunities that can lead to permanent positions. While on-campus students may receive placement, online students often must secure their own practicum placement. Students must proactively consider what locations could provide the most benefits and allow them to build relationships. What Specializations are Available in an Online Nurse Practitioner Program? These nurse practitioners spearhead care plans for patients who remain critically ill, physiologically unstable, highly vulnerable to complications, technologically dependent, or face complex illnesses. Practitioners work in multiple settings, including the patient’s home. This specialization requires innovative approaches, critical thinking, and the ability to make timely decisions despite the illness’ complexity. Students with an affinity for elderly patients can specialize in gerontology to become a certified gerontological nurse practitioner. This specialization prepares students to handle challenges associated with aging, which include diagnosing illnesses, prescribing medication, and conducting exams. This specialization focuses on preventative care. Nurse practitioners can specialize in anesthesiology, allowing them to become certified registered nurse anesthetists. This remains a high-paying speciality due to the skill level required for this role. Students interested in this speciality must pass an additional licensure exam through the American Association of Nurse Anesthetists. Nurse practitioners possess skills that remain valuable to virtually every specialty field. 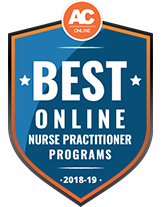 An online nurse practitioner program offers many possible career paths for graduates, including pediatric, neonatal, midwifery, family, oncology, geriatric, psychiatric, clinical, and pain nurse practitioning. Graduates who are not interested in applied practice might also consider research and educator positions. Read below for five common positions. While this remains a rapidly growing field, graduates may not qualify for all nurse practitioner programs with only a degree and license. Some roles require professional work experience and additional certifications. Gerontology nurse practitioners focus on providing specialized care to older patients. Practitioners must demonstrate expertise on the later stages of lifespan management and evaluation. These practitioners should possess excellent communication skills as they often work with the patient’s family to ensure quality care continues at home. Practitioners typically collaborate with other specialists to address all of the patent’s needs. This role requires an advanced degree, specialization coursework, and experience with an older population. Midwife nurse practitioners, also known as women’s health nurse practitioners, manage gynecological and obstetrical needs of their patients during fertile years. These professionals also manage prenatal, childbirth, postnatal care, and the care of the patient’s newborn. Other responsibilities include addressing diseases that disproportionately affect women. These practitioners mostly work in physician offices and hospitals. Some professionals arrange to be present for home births at the patient’s request. Nurse anesthetists work alongside physicians to administer anesthesia before surgery. These practitioners monitor the patient during and after the surgery until the patient has fully recovered from the anesthesia. This role relies upon critical-thinking, pragmatism, and thorough knowledge of protocols. Individuals must possess an advanced degree to qualify for the National Board Certification and Recertification for Nurse Anesthetists. Nurse practitioners who become professors focus on educating the next generation of nurses and nurse practitioners. While on-campus teaching remains an option, practitioners can also teach online. Professors teaching clinical courses may be required to visit students at their placements for evaluations. Due to shortages, nurse practitioning educators remain in high demand. Some states offer professors 100% tuition reimbursement if they agree to teach. These professionals work with families, which requires understanding needs associated with a large portion of the human lifespan. These primary care providers perform routine check-ups, diagnose illnesses, prescribe medication, conduct exams, and focus on preventative care. Many professionals opt to operate a private practice. An advanced nurse practitioner program is mandatory for this career path. While discussion boards and professor feedback certainly allows nurse practitioner students to develop meaningful relationships, professional organizations remain helpful because they offer access to networks of experienced professionals through forums, webinars, and conferences. Additionally, joining professional organizations also often leads to mentorship, scholarships, and continuing education. This organization strives to empower nurse practitioners to continue developing and advancing quality healthcare. Members gain access to online resources such as journals and forums. Continuing education credits also exist to stay current on licensure. The American Nurses Association sets standards of nursing practice and improves ethical practice. Members gain access to online journals, insurance, continuing education courses, free webinars, and career advice. As the largest nursing specialty organization, members become part of a vast network that shares the same values, experiences the same challenges, and actively works to uncover solutions. Members also gain access to free continuing education courses and clinical toolkits. This organization exists to further research and improve care for older patients. By joining this network, members gain access to more than 3,700 practitioners. Members enjoy access to insurance, journals, newsletters, and chapter events. NPWH specializes in research and practice related to women’s health. This national organization provides members with ample networking opportunities, professional development workshops, and a digital database. An online nurse practitioner program prepares graduates for career opportunities in multiple industries. However, students should note that a general nurse practitioner program may not qualify graduates for all nurse practitioning roles and that the degree itself does not guarantee a specific salary. However, the BLS indicates that many opportunities for job placement and advancement exist in this field. The table below provides general expectations and projected growth. BLS data projects that the overall demand for nurse practitioners will increase at a rapid pace through 2026. This growth level also indicates that professionals with advanced degrees and licenses may have higher earning potential. In particular, the anesthetist specialty maintains the highest median salary range, while educator roles offer the lowest median salaries. Growth rates for nursing educators are expanding much faster than other occupations, suggesting that professionals can anticipate job availability. According to the Georgetown University Center on Education and the Workforce, professionals in the nursing field boast higher earning potential with a master’s degree than professionals who only have a bachelor’s degree. The median annual salary for professionals with a graduate degree in nursing stands at $88,000, while nurses with a bachelor’s degree earn about $66,000. College nursing professors should anticipate around $48,000 with a bachelor’s degree, while graduates with a master’s degree earn $64,000 on average. Examining a university’s credentials remains important for verifying educational and professional standards. Students can vet a school or program’s accreditation. At the school level, students should determine if the university is nationally or regionally accredited. National accrediting agencies work with schools across the country. However, students experience difficulty transferring credits from universities with national accreditation unless the student wants to transfer credits to another nationally accredited program. Regional accreditation remains the gold standard. In fact, more than 85% of U.S. schools are regionally accredited, which makes credit transfers much easier. Students should familiarize themselves with the six regional accrediting agencies. Students should also consider programmatic accreditation. Subject matter experts oversee program-specific agencies, which means they can clearly outline what should exist in a school’s program. For instance, nurse practitioners should look for programs approved by the Accreditation Commission for Education in Nursing or the Commission on Collegiate Nursing Education. Students can expect to make a substantial financial investment in an online nurse practitioner program. While they should consider government financial aid, they should also explore other options. Many organizations set aside funds for students returning to school by offering fellowships, scholarships, and grants. The list below includes four possible sources. Students enrolling in an online nurse practitioner program may qualify for student aid through FAFSA. Government funding at the graduate level includes Direct Unsubsidized and Direct PLUS loans, which are not based on financial need. Another program, Federal Work-Study, places students in a part-time position related to their degree. Fellowships often exist as merit-based awards granted to master’s students. These awards may require students to complete some sort of research or project. Some fellowships require organizational membership, while others simply exist for students in the field. For instance, the American Academy of Emergency Nurse Practitioners and the AANP offer a fellowship to members. State departments and nursing-related organizations often set aside money for graduate students who express financial need. For instance, nurse practitioner students can apply for the Tylenol Future Care Scholarship, the We Care Nurse Practitioner Scholarship offered by CVS, or the Nurse Corps Scholarship Program. Many employers offer tuition reimbursement as a staff benefit. Employers can cover a maximum of $5,250 each year. However, not all organizations offer the maximum amount. Employed students should contact their human resource department for requirement details.